I was thinking long and hard about investing more in bitcoin, but I realized that if I wanted to use Bitcoin in a real brick-and-mortar store in my area, I would likely need to exchange it for national currency. The BitPay app has a VISA card option in it. But it's not for Canada. So I did a search online to find out if I can get a Bitcoin VISA Card for Canadians. The website I found recommended XAPO and SATOSHI TANGO as debit cards that would work in Canada. So I first looked at XAPO ---- that wasn't going to work in Canada, similar to how BitPay doesn't work in Canada. Satoshi Tango I signed up for ----- only to find out I had been confused by the information on their website ----- they actually DO NOT ship Visa cards to Canada. So, there was a website forum or something that said XAPO and Satoshi Tango can work for Canadians. This is, in fact, untrue. I signed up for Satoshi Tango, and they will not ship their VISA debit card to Canada. So, I guess I might as well forget about Bitcoin for a while. There are other advertised options for Canadians to move their money from BTC to CAD --- I haven't tried these, nor am I likely to at this point in time. I have been keeping very good track of my in's and out's of Bitcoin, logging every transaction in a ledger I keep. 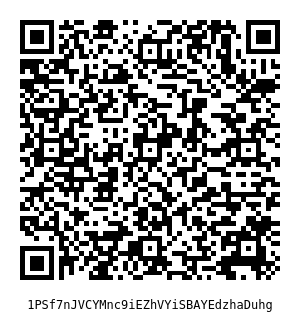 After moving my BTC back from Satoshi Tango, I have found a discrepancy between my ledger, and the digital wallets. There is a difference of 133 Satoshis. What happened to those Satoshis? Why aren't they listed properly? Very weird. This is nothing against any company listed in this post ------ it's just that my personal ledger of transactions doesn't match what the digital wallets say ---- I'm off by 133 Satoshis. Very weird. I managed to figure out that I'm missing 33 Satoshis from Bitpay. I moved some coin from a hard drive wallet to BitPay ---- and BitPay either took or doesn't show anything smaller than a micro-bitcoin. I guess that explains that.